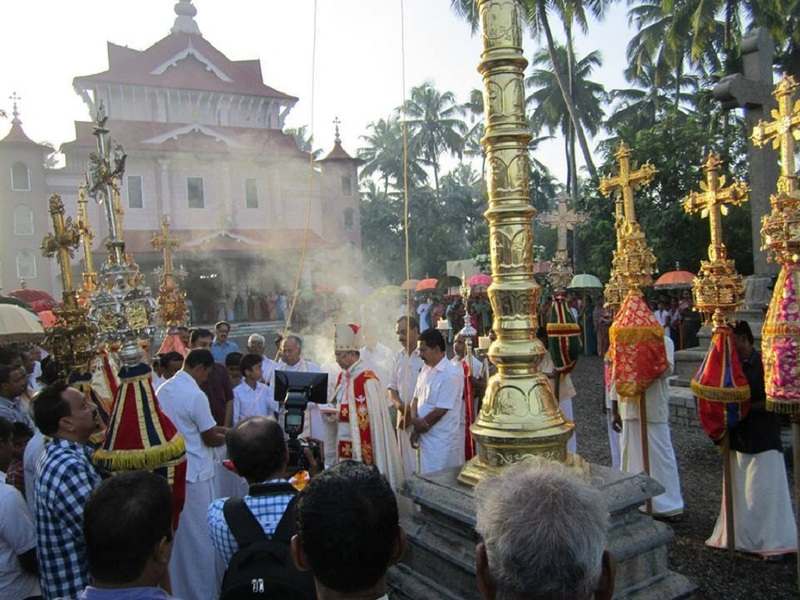 A prominent pilgrim centre in Thirssur, the Holy Cross Shrine at Mapranam is noted for its annual feast festival - Exaltation of Cross. 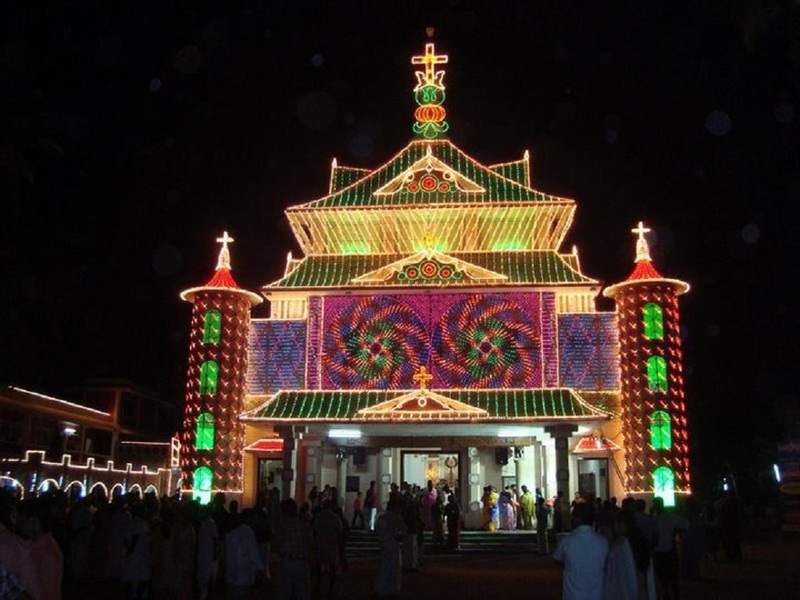 Celebrated with much pomp and gaiety, the festival is held from September 5 to 21 and octave (8th-day celebration) is on 21 September. 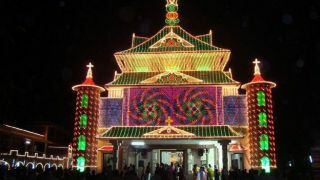 The most auspicious days during the festival are from 12 – 14 September. 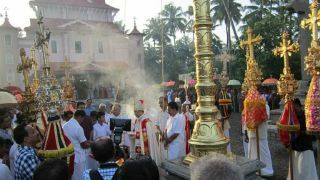 Among the major events held here during the festival include the 'Thiritheliyikkel' which involves lighting of huge candles.